Look out! I'm styling again. You will recall my daughter and I were approached by a clothing store to do a social media/blogging collaboration. It's where she gets a bunch of clothes and I get to tell her suggest to her how to wear them. Win/Win. Look one: Street chic or Office wear. Look 3: Time to party! 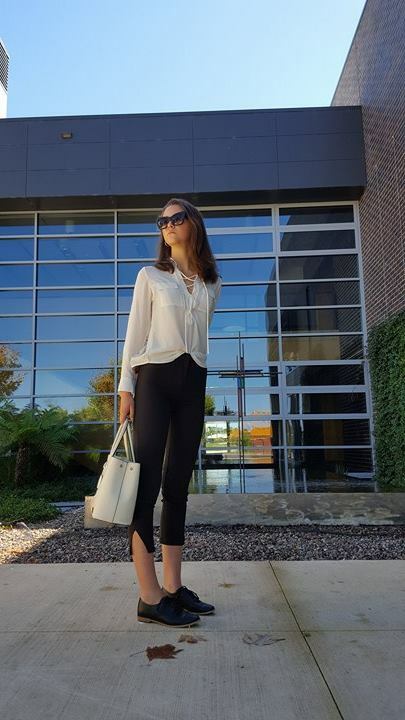 As you can see these skinny pants look great on Tahlia in the size small, or for a looser fit as seen on the Tobi model, you can buy them a size bigger than your normal size. They are quite versatile too which means they're a great piece for the wardrobe and great to take travelling. Anything that takes you from work, to the beach, to a night out has got to be a good thing. Stay tuned for Part 3 of our styling collaboration in a week or two! Which of these looks is your fave? 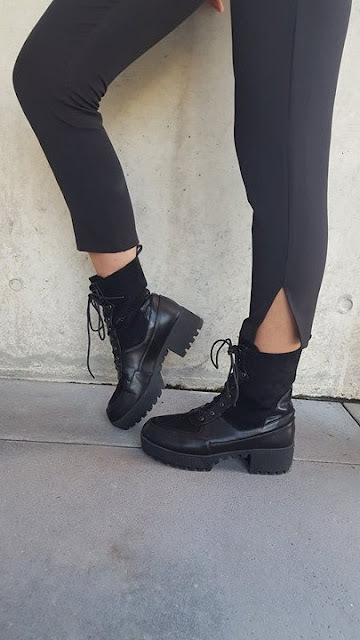 Do you have a pair of black pants that you can wear anywhere? I'm surprised how good they look with the swimmers. Wouldn't have guessed that pairing. Black pants are super versatile and I love the way you've styled these... especially with the bathers. That's genius! Omg I love those boots in the last shots! Great job! Love all the styled shots. I actually don't have any black pants. But you're right, they are a versatile piece. I guess I found once I stopped working in an office. I no longer needed them. I love these posts! And your daughter is very lucky to have her stylist on hand. These pants look great on her. I was wondering how they'd go at the beach, but they really worked :) How great is it that you two get to share your love of fashion like this? Love all of your styling combos and so nice that you got to work with your daughter on this piece. Thanks for linking up with the Ultimate Rabbit Hole.